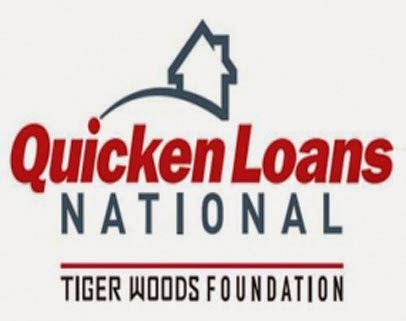 I'm going to take a bite out of the field for the Quicken Loans National to give you an idea of what this weekend might taste like. Too soon for a Luis Suarez joke? My apologies. But picking players for fantasy golf can be a little bit like picking teams to win at the World Cup. There's your established players, the talent that has been playing hot and should be expected to win, and then there's the underdogs, the sleepers waiting for a small mistake from the favorites for their chance to strike. Last week's Travelers Championship saw just that, as three of the fifteen players in my power rankings placed in the Top-5, but Ryan Moore stumbled on Sunday, shooting over par, and giving Kevin Streelman just the window he needed. I missed last week on Streelman, but seven birdies in a row to close a round is unprecedented. This week, I'll try again to help you find the Y.E. Yang's when you want to pick Tiger Woods. In this column, you'll find "Lay-Up", "Going For It", and "Hazard". Look for more subjective analysis here, as opposed to the Power Rankings, where I rely strictly on data. Lay-Up may contain players who, barring a Great Flood, will bank you some points. Going For It is where I'll have players that may have missed the Power Rankings or who I feel present an excellent opportunity to pick up a win. Lastly, Hazards, where I often find myself on any given Sunday, should be avoided. Keegan Bradley - He's occasionally prone to big numbers, but rarely misses cuts. His history at this course isn't great, but a T4 at the U.S. Open gave us a glimpse of considerable talent. Currently 13th in Total Driving and 46th in strokes-gained putting, he's got the tee game to shorten a long Congressional and can back it up with solid putting. Ryan Palmer - Palmer has been excellent this year with two second place finishes, 3 top-10s, and a Top-25 in 16 starts while only missing three cuts. He's currently ranked 28th in Total Driving and 21st in GIR, and though his putting could be a little better (ranked 74th in strokes-gained), if his flat-stick gets hot, he could easily win. T34 and T15 in his last two starts at Congressional. Webb Simpson - A T3 would make it seem like he's returning to the form we saw earlier this season, but I'm skeptical after a 45th place finish last week. At 9th in strokes-gained putting, he's been excellent on the greens, but he's 63rd in Total Driving and 67th in Greens in Regulation. If he's figured out his tee-to-green game again, he'll be a threat. George McNeill - Two missed cuts are mixed in with a top-15, top-25, and top-30 in his last five starts. He's been playing excellent this season, though his stats wouldn't necessarily support that, as he's just slightly above mid-pack in most categories. Currently, he has more top-10s than he had top-25's last year and has tied a career high for top-25s. Brian Davis - Didn't make the Power Rankings this week, as the field is a little deeper this time around, but he's still playing excellent golf lately. Though his T42 last week could have been better, two top-15s in his last 5 starts give me enough confidence to suggest him. Davis tied for eighth in last year's edition of the tournament. Stewart Cink - Hasn't missed a cut since March at the Valspar Championship and though his results haven't been spectacular, he's got a top-15 and top-25 in that stretch to show for it. Placed solo-fifth last year after a T22 in 2012, so clearly, the course suits him. Hunter Mahan - I may regret placing him here, much as I did with Harris English and Scott Langley last week, but right now, there's just no telling which Hunter Mahan we're going to get. He's got three missed cuts in his last five starts, one of which, The Travelers, was at a course where he's the all-time money leader. Until he shows up (like Langley and English did last week), avoid him. Tiger Woods - If my intro to the Power Rankings wasn't enough, let this be a reminder. Yes, you've got tons of starts left, but when a player acknowledges rust and lack of form, take his warning at face-value. If he makes the cut, it'll be a surprise to me. Patrick Reed - After a 35th at the U.S. Open, I thought he might have figured it out, but another missed cut at the Travelers makes five in his last seven. Until he finds form again, keep him benched.